This popular belief or story has become so word-of-mouth that it is associated as truth of that person, even to becoming a cultural ideal. Cultural myths reinforce belief in popular values or special ideas of the time. The psychology to these stories reflect the way we grew up. The cultural myth phenomenon taps into a fascination we nourish. We foster these as we reach out to learn about ourselves and how we figure into society. To illustrate, historian Camilla Townsend defines some of the misbeliefs behind the myth of Pocahontas. To begin, the name “Pocahontas" is a kind of nickname that someone would say to identify a child as a “playful one" or even an “ill-behaved child." 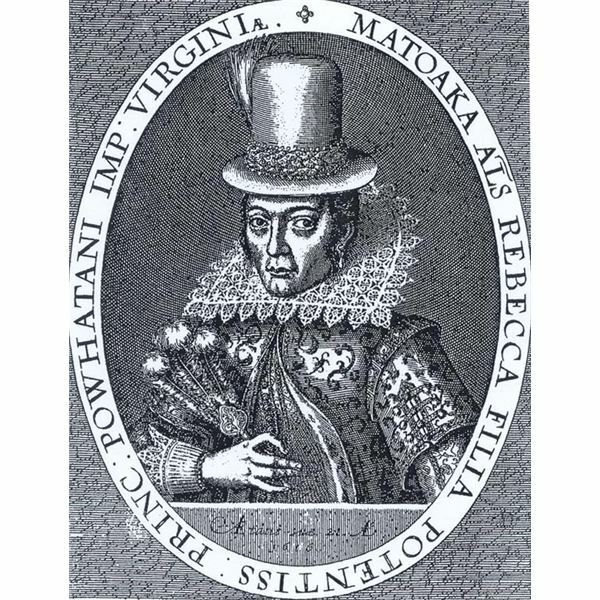 While we don’t believe Pocahontas was an ill-behaved child, her real name in the Powhatan tribe was Amonute and, in private, people close to her might call her Matoaka. 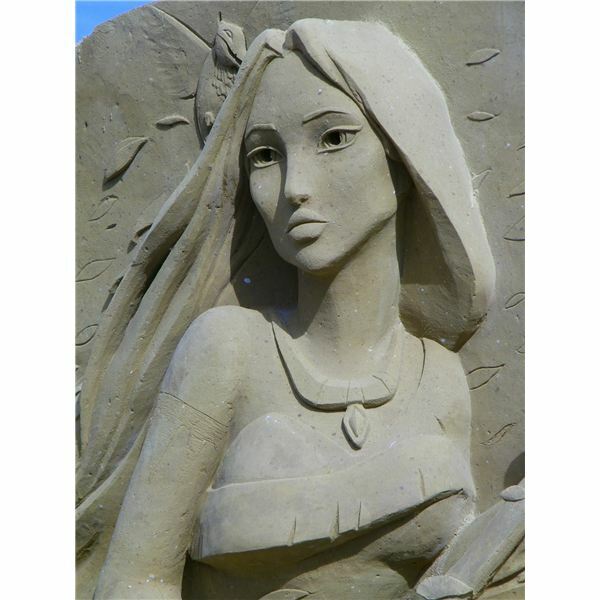 She was born in 1596 and was the favored daughter of a Chieftain Powhatan, Wahunsenaca, leader of a network of 30 tribal nations under the Algonquian umbrella in the Tidewater region of Virginia, encompassing Chesapeake Bay. Pocahontas lived in a place where time was told by how many trips the geese flew north. She led a charmed life as a princess of her powerful and fierce warrior-chieftain father in the Werowocomo Indian village. Many thousand Indians thrived in the thick and dense jungle-like forests and her father led them all. She was a beloved child who danced in the moonlight and was always in motion –a very young girl building powerful legs and torso. She might have been taught how to weave baskets, make pottery or stitch with beads; certainly, she didn’t have the many chores as the others did. One day in May, a breeze sent three ships –the Discovery, the Godspeed and the Susan Constant– into the horizon. The Englishmen on these ships were most likely sick, smelly and crabby after the rugged voyage, sporting heavy jackets and all manner of hair on their faces. One hundred and eight of them blew into the river path and dropped anchor in what they christened ‘James Town,’ in honor of their ruler and benefactor, King James I. They had a mission to make a settlement, yes, but they also had a mission to find mountains of gold and a passage to the other side of the world, which was paramount. However, these new colonists were lazy, quarrelsome, and did not come prepared to address the harsh conditions. They had assumed the natives would welcome new neighbors. Of course, the new colonists were met with Indian arrows. John Smith, born in 1580, figured heavily into the colonist’s story. Because he lived on a rented farmland from Lord Willoughby and claimed descent from another ancient family, he was educated at King Edward VI grammar school for a short period. When his father died, Smith left to join French volunteers to fight for Dutch independence from Spain. He later joined the merchant marines, and wound up fighting the Turks in Hungary. He was wounded, enslaved and murdered a man to escape. His travels took him to parts of Europe and North Africa. A restless man, he involved himself with the Virginia Company looking to colonize Virginia for money. During the first trip in 1606, Captain Christopher Newport charged him with mutiny. John Smith was a self-promoter and had a self-aggrandizing personality. There were many who disliked each other and he had no good use for his companions either. Later, his writings would claim the men were jealous of his military and naval experience and since he had many versions of the tales, no one really knows. The other men saw him as a plotter, put him in chains and nearly hanged him. One important thing though, he got on the Jamestown council and did help the misfit new settlers to survive. Swamps, disease, drought and famine plagued Jamestown. They drank dirty water and had skirmishes with the natives. The English looked at the natives as savages. The Englishmen’s guns were the only thing that the Indians feared. Colony leader John Radcliffe decided Smith should negotiating trading with the natives for food since he had conducted expeditions throughout the region. Smith took a hardline approach, likely threatening the Indians with weapons for food. He was exploring the Chickahominy River region in December 1607 when Chief Powhatan’s men captured him. He was the sole survivor. Later, he would be held responsible for his companion’s deaths. There is a story about the Chief putting Smith onto rocks where Pocahontas saves him from club blows. Experts from the Smithsonian, who have studied the early culture, say this probably never happened. To begin, she would have been much too young –10 years of age– to be privy to that type of ritual. Whether it was done to bring Smith into the tribe like an initiation, we will never know. Smith was released after a time and saw the tribespeople many times after that. He did have a relationship with Pocahontas, whom apparently made a big impression on everyone she met. It is said that she helped the colonists in times of dire need by suggesting her people give food to the starving settlers. In addition, she and John Smith did share a love of language and were thought to have taught one another their native tongues. However, there was no romantic relationship—unseemly for many reasons and she was very young—nor was there anything further between them. Of course, Chief Powhatan was trying to expand his empire and neutralize the English threat, but Smith may not have seen this motivation. In fall 1608, Virginia was under a serious drought. The Powhatan community had their own shortage of food and nothing to share with the English. It is said that Smith relied on violence, burning villages, stealing food, imprisoning, beating and forcing the natives into labor. When the Virginia Company officials learned of this, they were upset thinking that finding gold would now be problematic. They knew the colony leaders wanted to convert the “heathen" Indians to Christianity. Smith’s political troubles began. He was demoted from leadership. In 1609, the colonists decided to “coronate" Chief Powhatan in an attempt to improve relations but it backfired and Powhatan cut off aid to the colonists. That is when the first Anglo-Powhatan Wars began. At some point, the Powhatan leader had enough of the English. They had guns and towers but could not feed themselves. He cut off relations with them and told Pocahontas the tribe was finished with the outsiders. They lived about 12 miles from Jamestown and getting there was difficult, involving a team to lift heavy dugout canoes, so she may not have visited often. What she did perhaps was symbolize peace by being present during the colonist’s visits. Pocahontas married at age 15 or 16. Her Indian husband was named Kocoum and they lived at Potowomac village, his home. They also had a baby, little Kocoum. An English colonist, Captain Samuel Argall, captured her because he believed it would stop any attacks from the Natives. She was held in Jamestown and may even have been relocated to Henrico. It is believed her husband was killed. The colonists converted Pocahontas to Christianity. Her conversion involved wearing dresses and leather shoes. This must have been a difficult if not painful transition for her. She married a lonely, 28-year old man named John Rolfe, a survivor of a Bermuda shipwreck who had lost his own wife and child. Rolfe was very interested in cultivating tobacco and was a chain-smoker himself. At her “baptism," she was re-christened Rebecca. News of her conversion and marriage reached London and they were apparently thrilled with the birth of her son, Thomas, a year later. Many historians believe that she was used as a vehicle to promote the new settlements and to smooth over what had gone terribly wrong so often in Jamestown. She was taken to England and paraded around for people to see a real, live Indian Princess. Ten or twelve Indians who were supposed to report to her father accompanied her. Pocahontas grew sick in England. A few of her comrades had died of tuberculosis and her husband wanted to return to Jamestown. She died during the voyage and was buried in a town called Gravesend. She was 21 years old. In America, the Indian nation was pushed back further and further. What Smith should be famous for is his expeditions throughout Chesapeake Bay. He created maps, logged his adventures and wrote about the things he saw such as otters, minks and beavers; the huge stocks of fish; and the resources that grew naturally. He did much negotiating with the Indians, introduced Captain Newport to the tribe and contributed to keeping the fort alive, despite their many bad moves, lack of know-how, laziness and incompetence. Most of them died from the conditions. When Captain Newport came, only 38 of the original crew remained. In fact, a fire broke out after Newport’s arrival and burned thatched roof buildings until most of the stores and food that Newport had brought with him were destroyed. One night, Smith slept in a boat on the river and was badly injured by a mysterious gunpowder explosion. Remember, he had rubbed many people wrong and was headstrong and boastful. He went back to England for treatment in 1609 and never returned to Virginia. Smith produced several books about his adventures such as True Relation of Virginia, Map of Virginia, Generall Historie of Virginia (six editions), and True Travels. Archaeologists have confirmed some of the most famous details about the site. However, Smith was known to embellish facts. He may have wanted to illustrate a romance between himself and Pocahontas to boost his own ego and to increase sales, and the myth took off. Smith died in England in 1631 at age 51. Polette, Nancy. Pocahontas. New York: Scholastic, 2003 Children’s Press. Book. Fritz, Jean. The Double Life of Pocahontas. New York: G. P. Putnam’s Sons, 1983. Book. The Animated Hero Classics: Pocahontas. Texas: Nest Complete Learning System, 2005. DVD. Krull, Kathleen. Pocahontas: Princess of the New World. New York: Walker & Company, 2007. Book. Smith, Andrea P. Pocahontas and John Smith. New York: Rosen Publishing Group Inc. Power Kid’s Press, 2012. Book. Brimmer, Larry Dane. Pocahontas: Bridging Two Worlds. New York: Marshall Cavenish, 2009. Book.